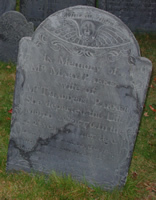 Died Mar 1776 Lexington, Middlesex Co., Mass. Family Thaddeus Parker, b. 2 Sep 1731, Lexington, Middlesex Co., Mass.